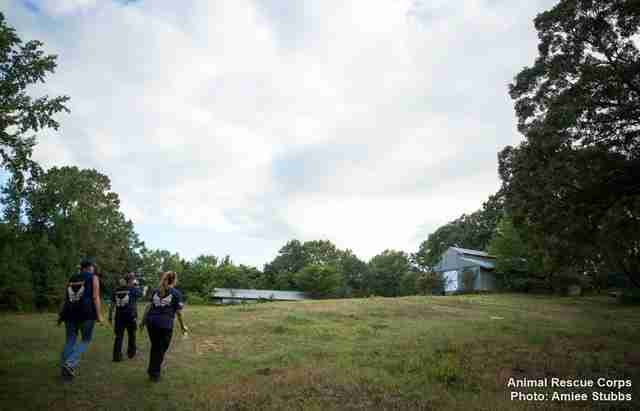 When a couple showed up at a property in Mississippi earlier this month looking to buy a puppy, they didn't get to see much of the place. Most of the sprawling property, complete with two barns and even a general store, was off-limits to visitors. The customers just handed over their money and were given a puppy. But the tiny puppy told his own story. The animal was taken directly to a veterinarian, who determined him to be very sick. 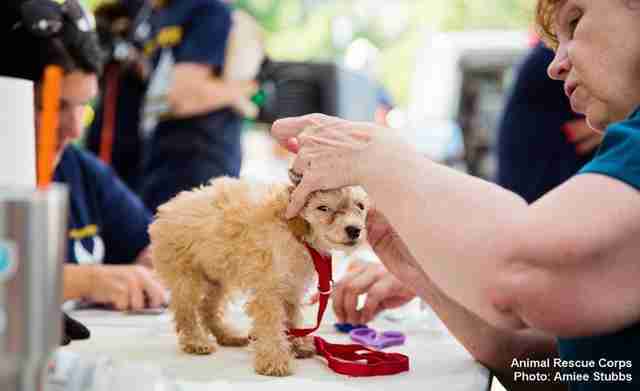 In fact, the puppy's condition became grounds for a search warrant. 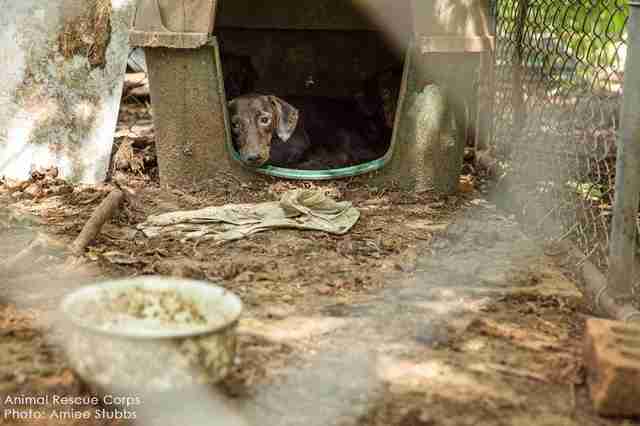 And last week, those buyers - who were actually undercover members of a rescue group called Animal Rescue Corps (ARC) - accompanied police officers and returned to that property in the small town of Senatobia. And they got the full, gut-wrenching tour. Describing the scene to The Dodo, ARC founder Scotlund Haisley says there was suffering in "every nook and cranny on that property." There were animals in a house and in barns, and even more in rabbit hutches scattered throughout the property. Some dogs were on chains. Some were loose on the property. There were around 60 chickens. A couple of turkeys. A donkey. They all had one thing in common. 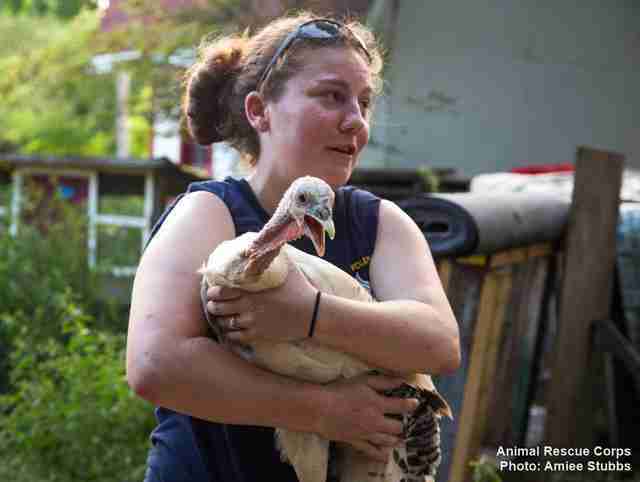 "These animals were suffering greatly," Haisley says. "Every one of them. There wasn't a healthy animal on that property. "It was a property of horrors." And then there was that barn with a small outbuilding attached. On missions like this, ARC workers wear heavy-duty respirators. They're designed to protect them from the often overpowering stench of urine and rot in the air. The respirators have cartridges specifically designed to block ammonia in the air. And they were entirely useless in those buildings. "That was so bad, it penetrated our respiratory gear," Haisley recalls. "We had a couple people vomit." But there was nothing to shield their eyes from the scene awaiting them inside. In those dark, damp confines, the floor seemed to writhe with maggots. 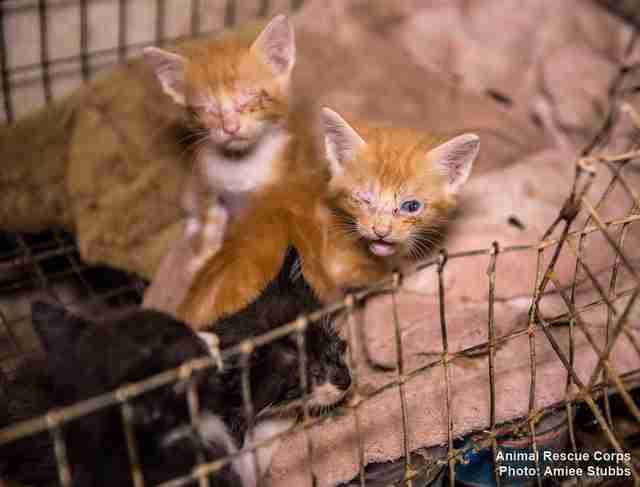 Animals in various states of misery - infested with parasites, brutally matted fur, skin burns from lying in their own urine - seemed to have given up on life. "These animals had succumbed to death," Haisley says. "There was no life in them whatsoever." Or so it seemed. Until these inmates got their first taste of the sun. "When we brought them outside and they were breathing in the fresh air and feeling sunshine, I honestly believe it was the first time," Haisley says. Not every animal made it out alive. 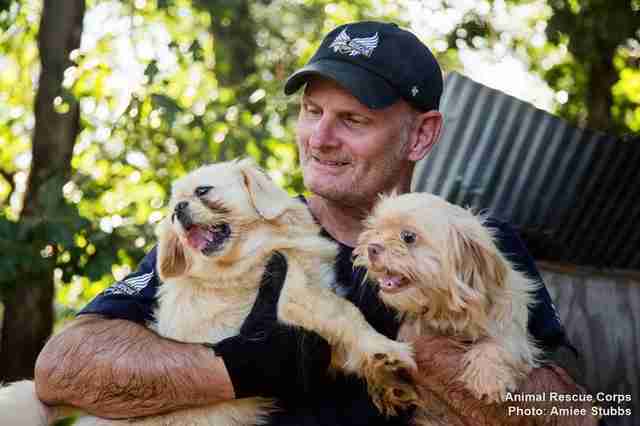 "A handful of animals went to an emergency vet because they were dying," he notes. "Unfortunately, a few did die." A necropsy on one of the dogs revealed the cause of death was starvation. The property owner has not yet been identified because charges have yet to be laid. 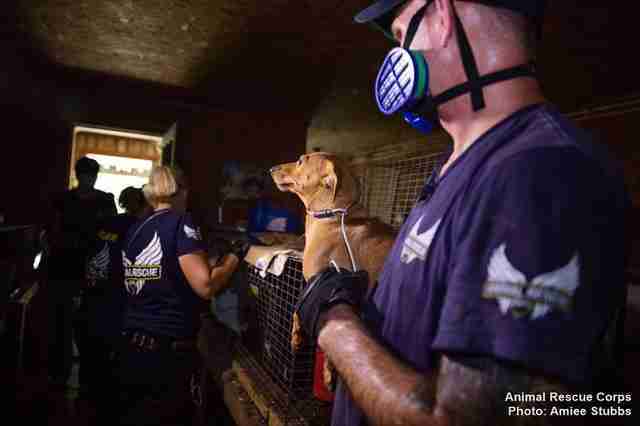 Most of the nearly 200 from the property were ushered to an emergency shelter set up specifically for the rescue. 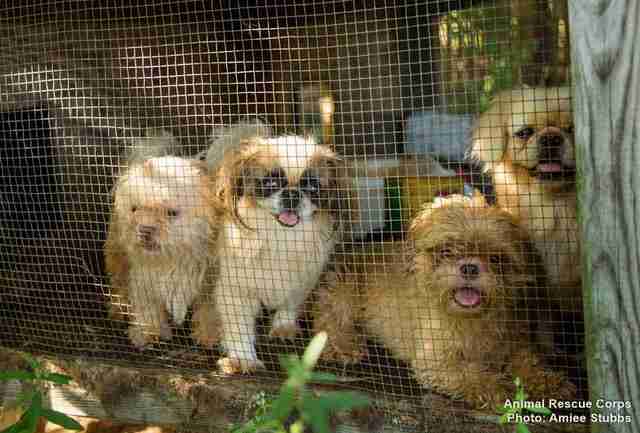 They will be examined, vaccinated and treated - and ultimately, they will find real homes. 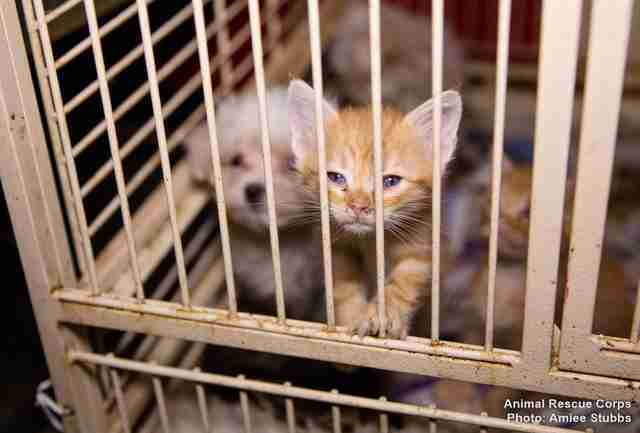 With those new homes and real families, the ordeal these animals went through will eventually fade. But until everyone adopts pets from shelters and rescues, rather than buying them from a store, the pet mill cycle will continue to grind on. Ask your elected officials to outlaw puppy mills in your state, and demand that the USDA enforce the Animal Welfare Act. If you're interested in fostering or adopting any of these animals, keep an eye on ARC's Facebook page, which will be updated with more information in the days ahead. 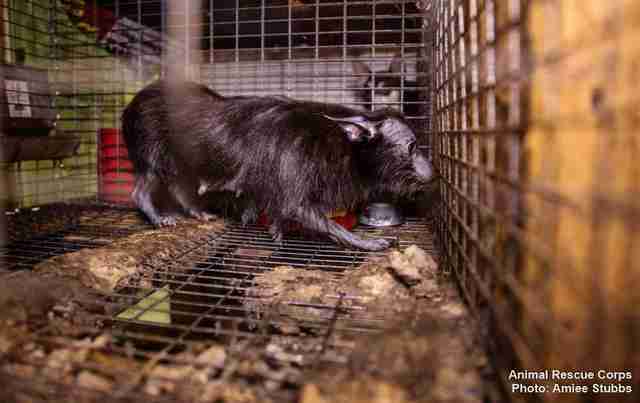 You can also help give these animals the care and support they need by making a donation here.